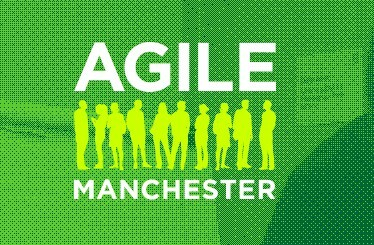 Agile Manchester is a conference focused on Agile software development and Scrum project management that takes place in Manchester. Participants can get knowledge and experience in a practical and peer-based learning context. In the agenda of the Agile Manchester conference you can find topics like “War is peace. Freedom is slavery. Ignorance is strength. Scrum is agile.”, “A tester’s survival guide for agile transition”, “A Bluffer’s Guide to Technical Debt for other people”, “Scaling agile done right”, “What is servant leadership anyway?”, “How to lead a team by doing nothing”, “Organisational anti-patterns – things organisations do that make agile delivery much harder”, “Death by user stories”, “The native language of eXtreme Programming”, “Agile in the accountable world”, “We sucked at making decisions. Here’s what we know now”, “When emulating ‘Scaling Agile @Spotify’ goes awry”, “It doesn’t always have to be scrum”, “Bridging the communication gap, fast”, “The Lego requirements document”, “Keeping code agile”, “Integrating Creatives into Agile Teams”, “Moving away from Legacy code with BDD”, “Lessons learned in developing an agile architecture to reward our customers”, “Navigating Politics in Agile/Lean Initiatives”, “Evolution and Revolution: Making Change Happen”, “Agile: It’s not just about the development team”, “User Story Mapping for Fun and Profit”, “How to fail at Lean UX”, “The Agile User Experience”.